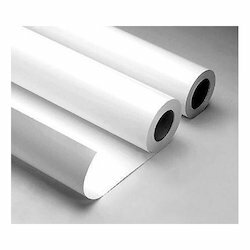 Manufacturer of a wide range of products which include self adhesive paper. With our immense domain expertise, we are offering quality assured Self Adhesive Paper. Offered paper is ideally used for labeling, packaging and lamination in various industries. The base material of these papers is made up of Kraft pulp. Owing to the presence of Kraft pulp, these papers are known to be strong and relatively coarse. They are quality-tested before dispatch by professional auditors. These papers have high tensile strength, elasticity and tear resistance which makes them the ideal choice for label production.